Failed three times previously on Panama (12), Micronesia (16), Heroes vs. Villains (20). I liked her, but more than two times on the show bugs me. Twice to grab the ring, then you're out. I was rather "meh" about her... but for me it's three times. More than three is just... ugh. The third time, even ~ you'd better be someone awesome either in coolness or to hate. And she's already *had* three! And she's just "meh"! I mean, if someone's gonna be back a *fourth* freaking time, they'd better be pretty spectacular in some way or other. And, she is not that. Agreed. At this point it's more like, "are you still here?" It depends for me. 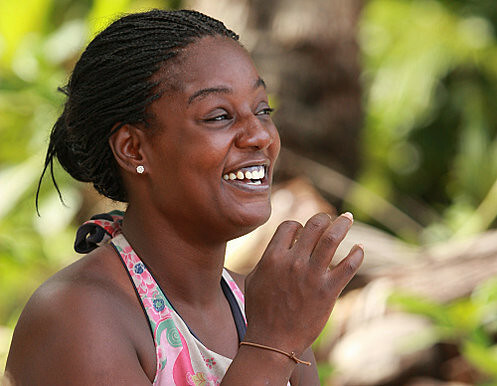 Cirie is someone whose game got worse over the course of Three seasons. If I'm going to see someone play a fourth time, I'd prefer someone like Jerri who placed better each time she played or Pavarti who was never not interesting. Or Amanda who made it to 2nd place twice. It would make sense if they brought back those who came in 2nd place or those who had to leave for medical reasons, but just to do the disgusting Boston Rob thing where you come back until you get a cast of those playing for you to win no matter what, is a waste of time and an insult to viewers who want to see someone playing the game. As for this woman, don't remember her. Letting my emotions get the best of me! I'm pretty sure I liked her the first time around, but for the life of me, I can't remember her being on any other seasons. Perhaps because she didn't last long? And this season does not look like it's going to be any different. She's the perfect example of someone trapped by their own success...except Sandra has an even bigger target since she won twice and is having no trouble running the table with her tribe. Cirie is a bit overrated. Seriously? Voting for Sierra to stir things up? If Debbie didn't have that extra vote, then Cirie would have really looked like an idiot for not following through with the person SHE wanted to vote out! If Cirie isn't jettisoned soon, she will get to the end and win this thing.